After beating the Cincinnati Bengals 45-10 the Kansas City Chiefs improved to 6-1 led by a high-powered offense that so far has looked unstoppable. That was the fourth time this season that Mahomes passes for at least four scores, with his season-high of six coming in week 2 against the Pittsburgh Steelers. Only the Jacksonville Jaguars, in week 5, held Mahomes without a passing touchdown, but he still found the end zone using his feet to lead the Chiefs to a 30-14 win. 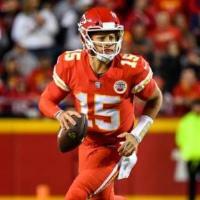 Even during their week 6 loss to the New England Patriots the Chiefs’ offense managed to score 40 points in a game where Patrick Mahomes made some bad decisions that led to two interceptions but still managed to pass for four touchdowns. The best teams can hope for against this offensive juggernaut is to devise some kind of plan to contain them and even that hasn’t proved easy as the Chiefs have many weapons to choose from when trying to score. The Chiefs have proven especially lethal against zone coverages as head coach Andy Reid has devised a system that allows Mahomes to very quickly find open players and attack opposing defenses. Tyreek Hill, Travis Kelce and even Sammy Watkins are proving capable of exploding on any given play and find the end zone. This abundance of weapons prevents defenses from focusing on any given player because then Mahomes will beat them with someone else. After seven games Mahomes leads the league in touchdowns with 22 and ranks second in yards with 2,223. He’s extremely difficult to plan against as he’s proven capable of beating opposing defense both from inside the pocket as well as when he takes off and scrambles to the outside, which consequently keeps defenses off-balance. The Chiefs biggest challenge may come in week 11 when they face the Los Angeles Rams a team led by quarterback Jared Goff and an offense as explosive as them, supported by a defense capable of bringing a lot of pressure thanks to defensive tackles Aaron Donald and Ndamukong Suh. Until then the Chiefs offensive juggernaut may continue to roll unchallenged and sparing no defense in the league.